Power reclining sofa features quilted back design and power headrests, as well as USB charging, cup holders and a hidden drop down table. 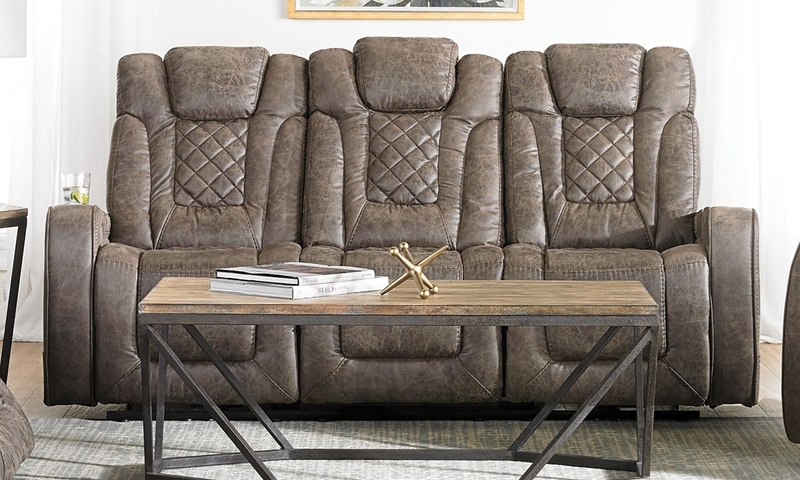 Take reading or TV time to the next level with the Graham power reclining sofa. It’s upholstered in easy-to-clean high-grade fabric with a quilted back design to maximize durability and comfort. Both ends adjust at the push of a button, and include a full-leg chaise and power headrest for total body support. Plug in to the USB charging port or keep a cool drink close at hand with the features built in to its wide track arms, or pull down the center seat to reveal additional cup holders, storage and even a pop-up charging station with AC and USB outlets.